The Philadelphia Award Program is an annual awards program honoring the achievements and accomplishments of local businesses in the Philadelphia area. Acknowledgement is given to those companies that have shown the ability to use their best practices and applied programs to generate competitive advantages and long-term value. Each year, the Philadelphia Award Program identifies companies that they believe have achieved excellent marketing success in their local community and business category. These are local companies that enhance the positive image of small business through service to their customers and the Philadelphia community. Do you have misaligned teeth? Are you too embarrassed to get those old fashion metal braces? Well, there is a solution for you and it’s called Invisalign. Often times, people ask how long does this treatment take? It is different for just about everyone because it is based on how much your teeth need to be shifted and how attentive you are to following directions and wearing your trays. As a patient of Invisalign you must be willing to commit and trust the process to achieve the best results. The time that it takes you to complete your Invisalign treatment is almost cut in half compared to the old fashion metal braces. On average, most patients complete their treatment within a year, sometimes less. When you decide to choose Invisalign to correct your smile, what you can expect from the first appointment, which is called the “records” appointment is for it to last about 50 minutes. At this appointment you will get detailed scans from our iTero Invisalign Outcome Simulator. This scan will be able to show you what your teeth will look like after your Invisalign treatment is finished…before you even start! Also, x-rays of your teeth will be taken during this appointment so that your Invisalign trays are customized perfectly just for you. Your next appointment will be in about 3 weeks from this initial visit. When you come back in 3 weeks this appointment will last about 1 hour. At this appointment you will get your first set of Invisalign trays and one of our excellent doctors and dental assistants will show you how to properly insert and remove them, so no damage is done to your teeth. Attachments will then be placed on your teeth so that they fit well and are able to move properly. After this appointment you will then be seeing one of our accomplished doctors every 6 to 8 weeks to get your next set of trays. Every 6 to 8 weeks when you come back to receive your next set of trays these visits will only last about 20 to 30 minutes. During this appointment the doctor will make sure your teeth are shifting as planned. If anything needs to be adjusted the doctors will make correction so that you are getting the best Invisalign treatment on the East Coast. Some rules of time with Invisalign so that you are making the most of your treatment is that they should be worn for at least 22 hours a day. You may take out your trays when you eat, brush and floss your teeth. Each of your trays should be worn for at least a 2-week period or directed otherwise by your doctor. Your set of trays need around 150-300 hours of wear so that your teeth can move and settle before moving to your next set of trays. By following these guidelines, you will utilize the most from your Invisalign treatment and achieve the best results. During the whole month of October take $500 off your Invisalign treatment plus free whitening and get that smile you’ve always wanted. 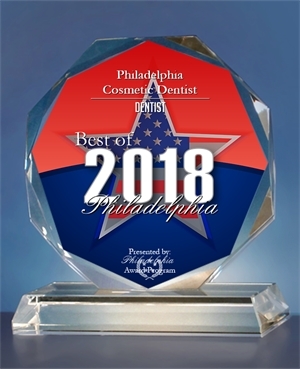 Call Philly Dentistry today at 215-568-6222.